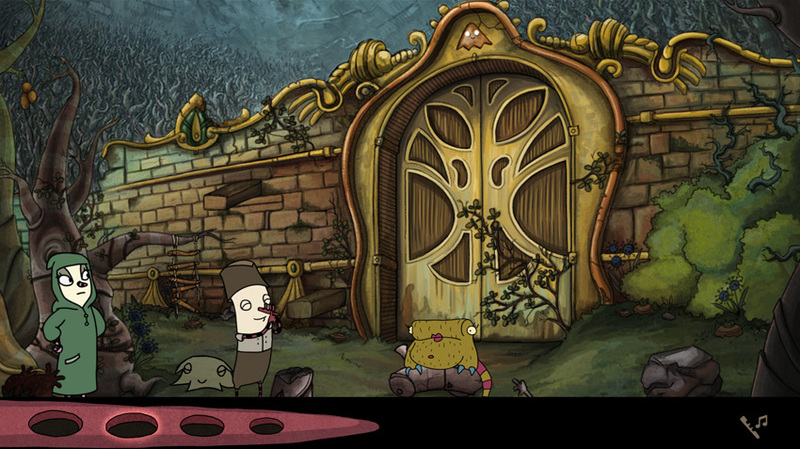 The Inner World is a classic-style hand-drawn Adventure game for PC & Mac. 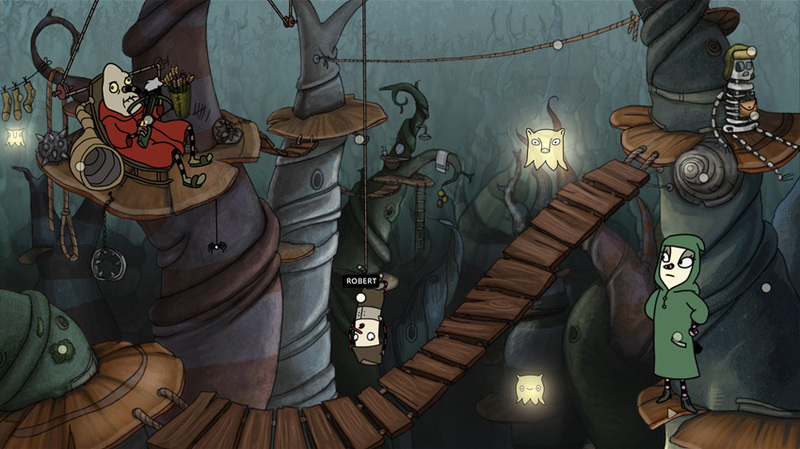 Solve plenty of challenging puzzles with Robert and Laura in the twisted world of Asposia. Experience an atmospheric and humorous story full of bizarre characters. PC-Games 86% // "The result is a creative and amazing adventure, including a charming story, great voice actors and good puzzle design." 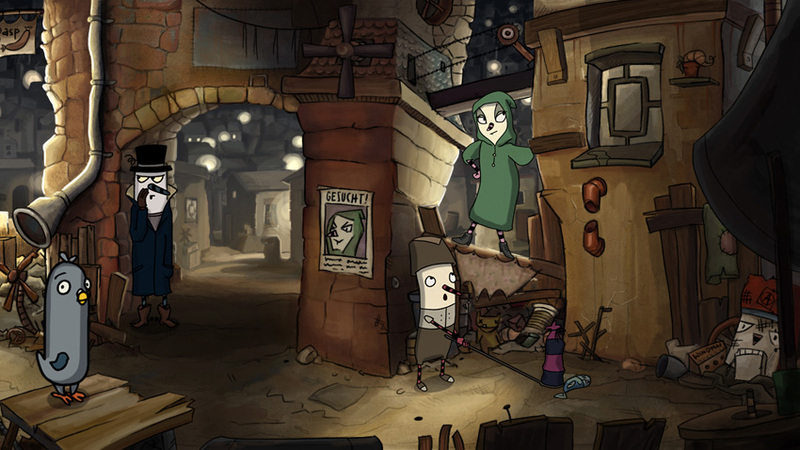 Adventure-Treff 88% (Gold) // "It looks super, it sounds great, it has a very good game-flow and rewards the gamer with very entertaining hours: The Inner World offers everything, what is expected of a very good adventure game." Gameradio.de 90% (Excellent) // "But the real star of the game is the unbelievably creative and fantastic world, which even leaves the world of Deponia behind." Every single game need features. See our features hier: Discover the mystery of the disappearance of wind. Get yourself stepwise hints, if you're stuck in the game. - and of course, Robert, the veryveryVERY last hope of Asposia! Asposia is a mysterious world. Surrounded by the endless soil and against all laws of physics, Asposia is located in an enormous hollow space, which is ventilated solely through three big wind fountains. In this world lives Robert, a naive and cheerful novice of the last wind monestary. He lives quite an introspective, simple life as court musician in the shadows of his honored master and ideal Conroy. This changes abruptly, when suddenly one foun-tain after another runs dry and the Windgods befall peaceful Asposia. Now just Robert is in the center of unexpected events! Together with the mysterious thief Laura, best intentions and not the slightest clue Robert hits the road to solve the secret behind the disappearance of the winds. During his adventure he not only meets bizarre Asposians, but also really strange animals. 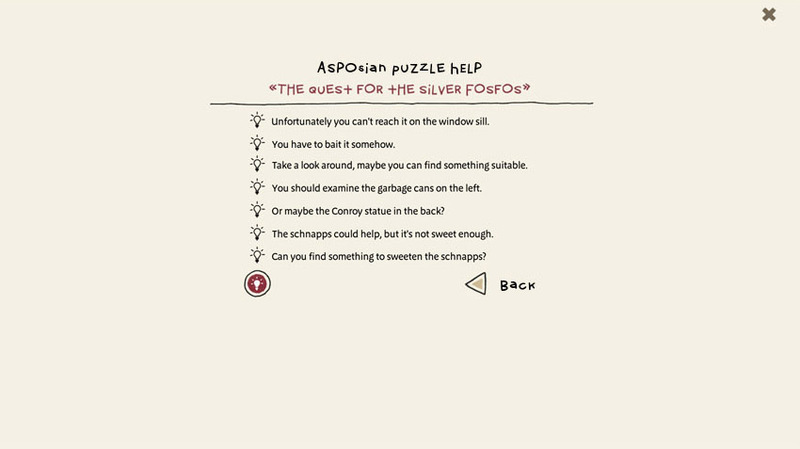 In addition, Robert hast to solve tricky puzzles, which only could exist in Asposia. Is the young adventurer able to save his world? What are Laura's secrets? And why Robert has such a strange nose?